Altop designed Trolley specially for Presentation on move. Adjustable Laptop & projector Trolley. 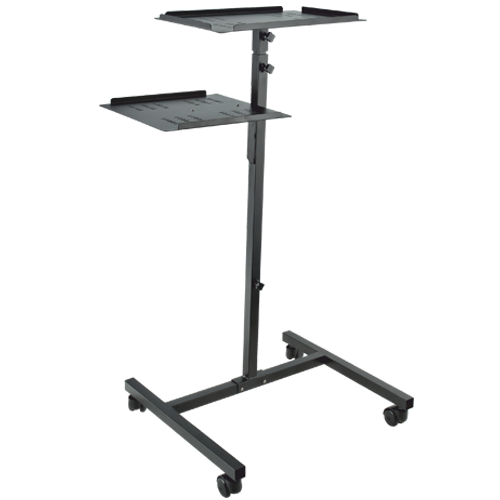 One can adjust Maximum height up to 5 feet & Minimum up to 3.5 feet. So extension facility up to 1.5 feet. Freely adjust Projector height as per your presentation needs, 360 degree lockable castors, Duly powder coated body. Tray for Laptop & projector. Can dismantle easily & carry along with you for presentation.